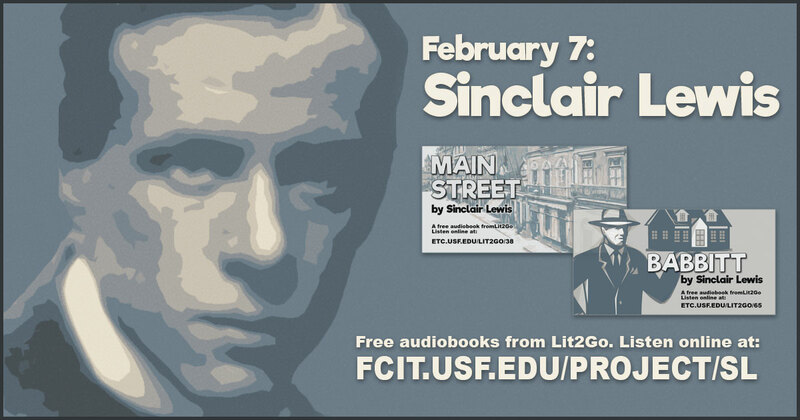 Use this banner on social media to share our Sinclair Lewis audiobooks. 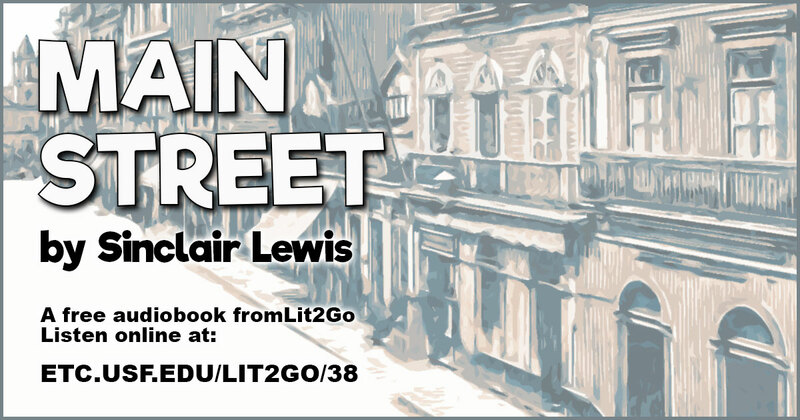 Main Street audiobook from the Lit2Go website. Main Street is a satirical novel about small-town life, and is notable for the presence of a strong female protagonist. Reading level: 8.2. Word count: 183,821 in 39 chapters plus foreward. 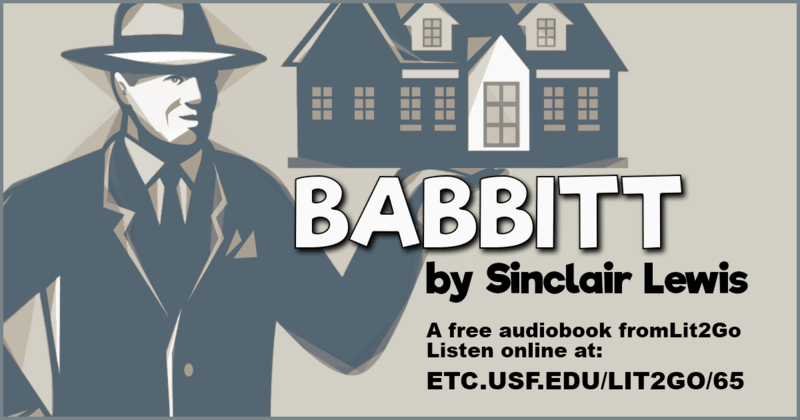 Babbitt audiobook from the Lit2Go website. 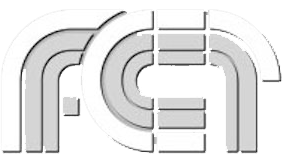 Largely a satire of American culture, society, and behavior, it critiques the vacuity of middle-class American life and its pressure on individuals toward conformity. Reading level: 7.4. Word count: 136,783 in 34 chapters.